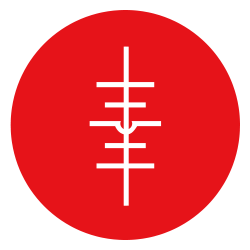 TriggerCharts – Autopilot is the next generation of trading indicators. Many indicators available today are based on cycles that are either trending or oscillating. By their nature, these are not dynamic and only provide a directional bias that looks to recent history to predict future trends. Investing with a rear view approach is no longer mandatory. TriggerCharts strategists have created an indicator that is able to harness the power of Market Profile, along with SMART algorithms that dynamically adapt to market conditions – on any time frame. Autopilot is part of the TriggerCharts SMART Indicator libary. Each condition is calculated in real-time and then color coded on a candle or bar chart. Warning and get-ready bars will highlight the potential for long or short entries, along with exits, on an intra-bar basis. Both stop-loss protection as well as profit targets are highlighted on the chart and risk parameters can be customized by the user. Pinpoints levels for potential entry, exit, long, short and stop loss. Color coded for easy trend recognition with all notable levels highlighted. Ability to highlight long & short opportunities or isolate long only trades or isolate short only trades through custom configurable inputs. Ability to adjust level of risk by increasing or decreasing the Average True Range percent stop. Dynamically reviews historical trends to find better risk / reward opportunities for the future. Note: When charting futures, it is suggested that generic continuous contracts (@ES, @CL etc. )are used rather than specific date contracts. ProfitWatchpct Allows for users to specify the required move above/below the initiation level to turn-on the ProfitWatch Scanner. 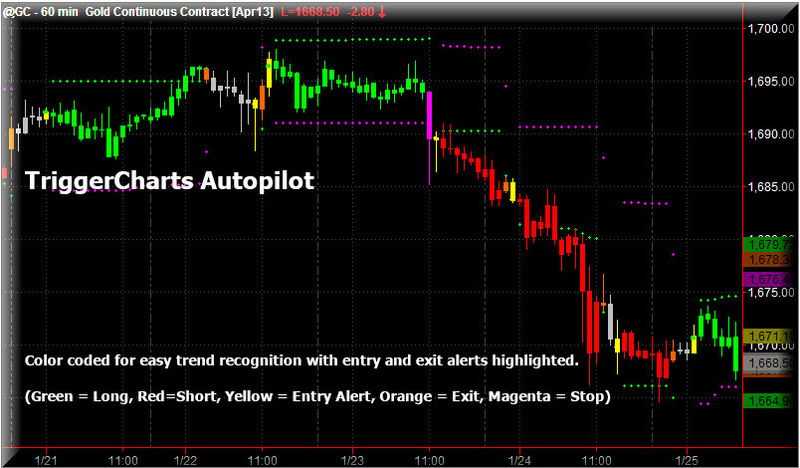 Lower inputs will force Autopilot to close a position that is unprofitable more quickly, preventing false breakouts/breakdowns from being held. Higher inputs will allow for more noise in the price and fewer trades, but may also cause higher losses as stops may come into play more often. Try to use low values for short/intraday timeframes such as 0.2 or 0.1. Setting this to zero will force a trade that moves below the initiation point to be closed. Under the “Color” tab is where you will find the ability to customize the color display of the indicator.